Since November, when California became the first state to ban single-use plastic bags, it’s a question you have to answer almost every time you go to the store. And you have to ask yourself: Am I willing to pay 10 cents for a bag? It’s also a question that made 12-year-old Amar Farhat have a question of her own. Amar doesn’t just want to know if fewer bags are being used now, but also if the law is doing what it was meant to do: help the environment. She’s a little skeptical. Amar and her family used to reuse the old plastic bags for trash or errands. Plus, she said, the new thicker bags you get at the store seem to be made of more plastic, not less. “I feel like it might help a little bit, but overall, we have so many plastic things, this is a small percentage,” she said. What is the Plastic Bag Ban? If plastic bags are banned, what are these thicker plastic bags Amar is getting from the grocery store? It's important to understand how the new statewide ban works. The law gets rid of single-use plastic bags — those thin, cheap plastic bags you used to get. It also requires grocery stores to charge 10 cents for paper bags or for new, thicker, reusable plastic bags. 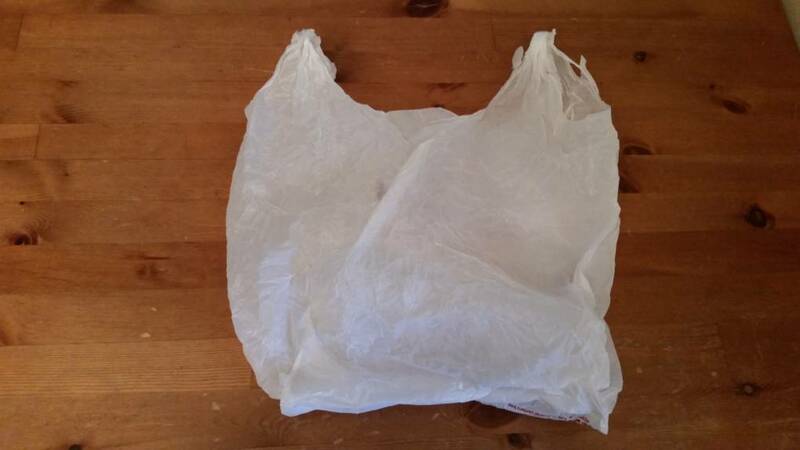 Those thicker plastic bags have to be made of partially recycled material and have to meet specific requirements. The state hopes that if these bags are heftier and bigger, you can use fewer of them at the checkout line and reuse them for longer. You can also opt to bring your own bags or not take any bags at all. Since the state law just went into effect, it’s too soon to know how it’s working, but there are hundreds of cities around California that already had their own plastic bag bans. If something different is happening at your grocery store, it might be because your local law varies slightly. These cities can tell us how they've fared so far. Are Fewer Bags Being Used Overall? In 2013, Alameda County passed an ordinance very similar to the current state law. There are a number of ways Soll and her colleague, Jeff Becerra, measured the impact of the ordinance -- but one of the most effective methods was surprisingly low-tech. And a year after the ordinance, they went back to those same stores at the same time and counted again. What they found was that twice as many people are bringing their own bags and almost three times as many simply don’t take a bag at all. The big differences have been that people are no longer taking bags when they buy one or two items, double-bagging items or taking extra free bags. Soll and Becerra didn’t just stand in parking lots, though. They also got the purchasing data from 69 chain stores in the county. Those stores went from using 50 million bags each year to using just 10 million total — paper and plastic. The number of paper bags used went from 13 million to 8 million, and the number of plastic bags went from 37 million to 2 million. 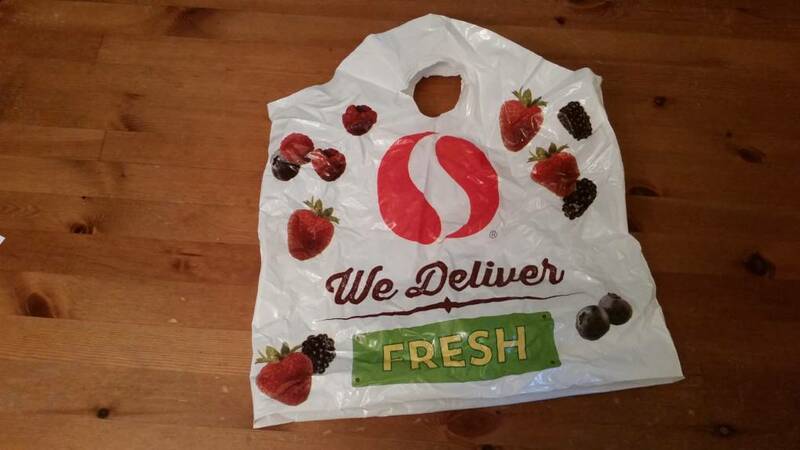 Alameda is not the only county that has attempted to measure the impact of its bag ban. There are multiple studies and a few in-depth analyses of different local bans — nearly all of which show a decrease in the overall number of single-use bags. 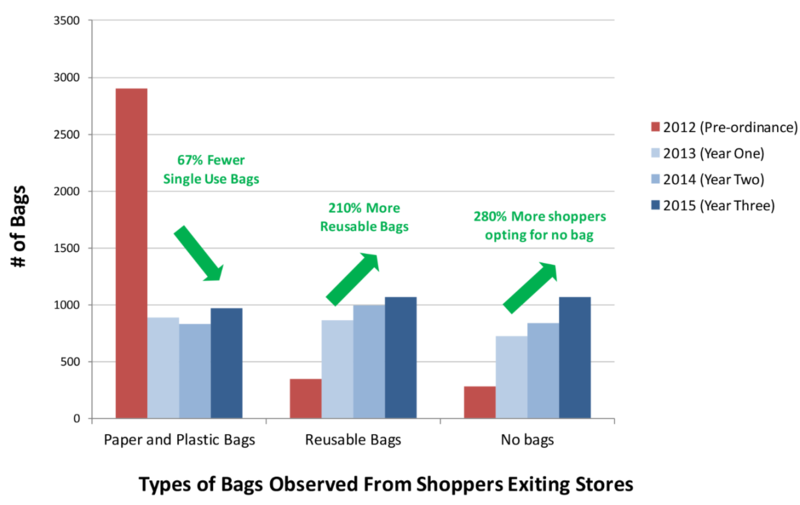 In its effectiveness study, San Jose found twice as many people opted not to take a bag post-ban. San Jose also measured the number of plastic bags found in litter and creek cleanups, and saw decreases. California Waste Solutions, which does the majority of recycling for San Jose, reported fewer plastic bags getting caught in recycling machines and a 35-50 percent reduction in down time because of that. Los Angeles County found its large stores gave away 2 million plastic bags and 196,000 paper bags annually before its ban. A year later, those stores handed out only 125,000 paper bags. What cities have found is charging people for a bag makes a big difference. San Francisco's original ordinance, which didn't charge a fee, wasn't nearly as effective as it is now. "People just take the free option then," said Soll. "We found if you were giving one bag free and charging for the other, there would just be a switch" — not a decrease. The 10-cent charge is why use of both paper and plastic decreased in places like Alameda County. “We do know that these ordinances work,” said Becerra. In all likelihood, we’ll see similar drops statewide in single-use bags, though we can't know for sure yet. Amar, our question asker, also wanted to know if all these plastic bag bans are actually doing any good. It comes down to two issues: How big a problem were plastic bags in the first place, and what are you using now instead? Stephen Joseph is a lawyer for the plastic bag industry, and fought the bans. He also used to run an anti-litter group in San Francisco. He said plastic bags have gotten an unfair bad rap. "It's media sensationalism," he said. 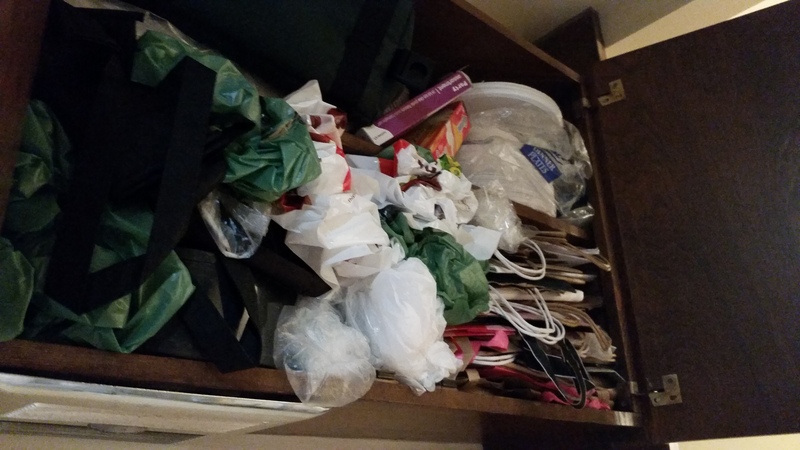 Plastic bags, he said, account for a tiny portion of overall litter. He rarely saw them when picking up trash. City litter surveys and beach cleanups actually confirm this. 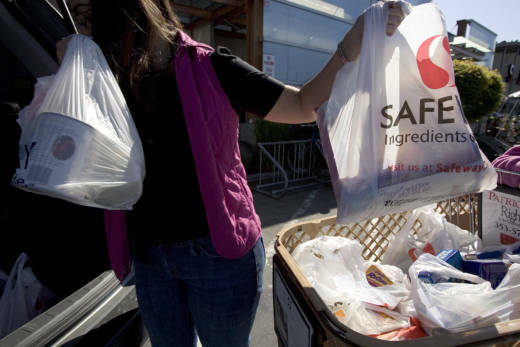 In San Jose's pre-ban tally, plastic bags accounted for only about 2 percent of trash. And Eben Schwartz, from the Coastal Commission, said plastic bags were about 9 percent of what they picked up on San Francisco beaches before the local bans went into effect — and are about 6 percent of trash they pick up now. "Plastic bag litter was so tiny that even after they banned plastic bags, there was no appreciable effect, because there’d been so little of it in the first place," said Joseph, of San Francisco's ban. The bigger problem, said Joseph — what's killing marine mammals and gathering in patches in the ocean — is "hard plastic." While researchers do find plastic bags in the stomachs of dead whales and turtles, what they find more often are: toothbrushes, golf balls, plastic water bottle caps, fishing debris. But Schwartz said plastic bags are still a problem. "They break down into smaller pieces of plastic. That doesn't mean they're less harmful. It just means there's more plastic to be ingested," he said. "You create little toxic pellets." Plus, the main reason environmental groups have focused on plastic bags is because they're easy to replace. "Is it really just a product we’re using for 37 seconds, for one minute, and then we’re throwing it away, and what we’re learning here is there is no away," said Dan Jacobson, the state director for Environment California, who worked to pass the measure. When you think about how good or bad a bag is for the environment, you need to think about its whole life cycle— from how much energy it takes to produce to what happens after you throw it in the trash or the recycling bin. Amar and her family used to reuse the old plastic bags to line trash cans and carry things to work. Lots of people used them for pet waste. Many of the replacement bags take more resources to make than the old, single-use plastic bags. Paper bags are heavier, so they take more gas to ship. Canvas bags need to be washed, which uses water and energy. All of these factors mean a reusable bag must be used multiple times to have a net positive effect on the environment. How many times you need to reuse a bag to compensate for the additional resources depends on what the bag's made out of. This is called a life-cycle analysis. Alameda County conducted its own analysis as part of its environmental impact report. The UK's Environment Agency conducted its own, too, and there have been others. A PET reusable plastic bag is the plastic square kind you can buy at Whole Foods or Trader Joe's. A polypropylene bag is the semi-fabric boxlike kind often given out at expos or festivals. Cotton bags are the nice cotton totes you might buy for their cute design or charm. "We do know that once you have a reusable bag and you’re using it over and over, the environmental savings always outweigh something that can be used once," said Soll. That's especially true when those reusable bags are made from recycled materials. Even Joseph agreed with that. "Fortunately, what they’re being replaced with today are to some extent recyclable polyethylene reusable bags," said Joseph. "Then that’s good for the environment." We can't know for sure what people will do, but if what happened at the local level happens at the state level, then we'll end up using fewer plastic and fewer paper bags. And that should ultimately be enough fewer resources that the environment will come out ahead.